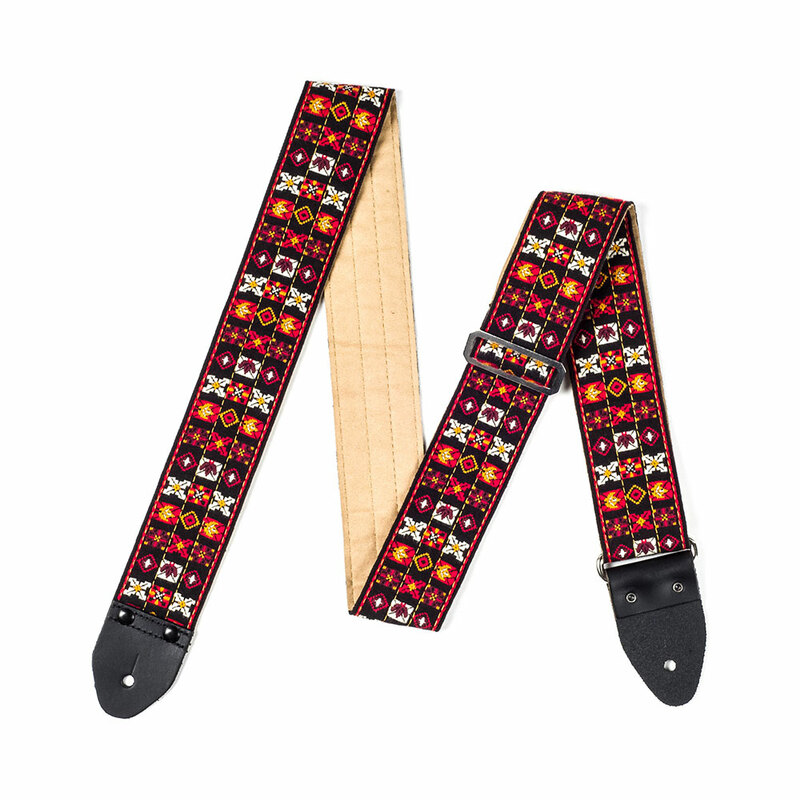 The Jim Dunlop Jimi Hendrix Guitar Strap commemorates one of the most influential guitar players in music history, embodying his visionary spirit and style. 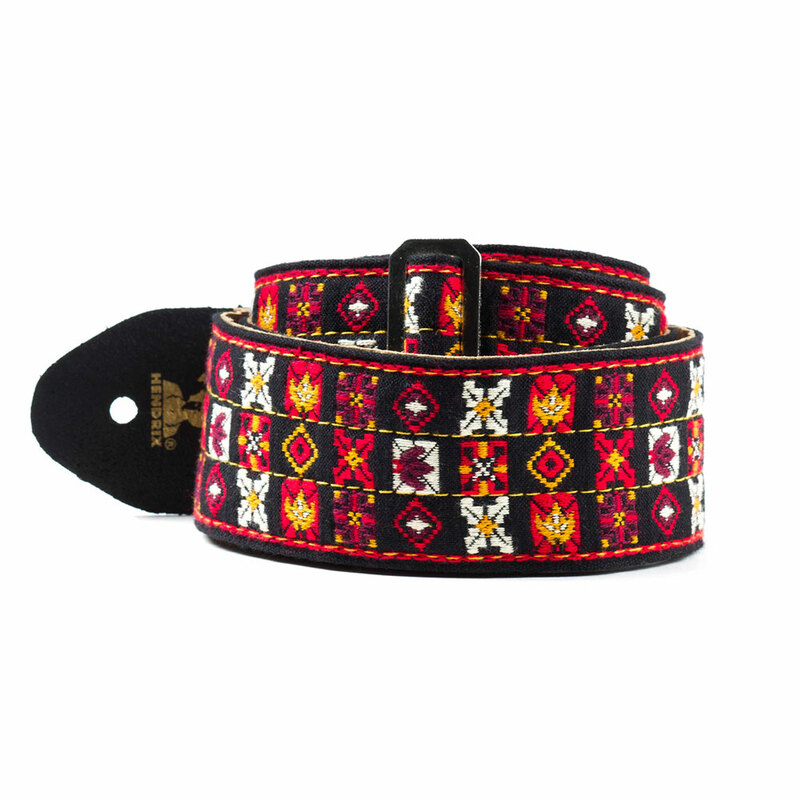 Made from a comfortable, high quality Jacquard woven fabric with genuine leather ends for security around strap buttons. It is 2 inches wide (51 mm) with an adjustable length.